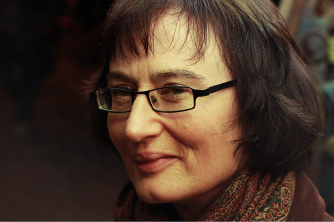 Academy alumna Fiona Sampson MBE has published 27 books of biography, literary non-fiction and poetry. Her work has been translated into more than 30 langueages and she has received a number of national and international honours for her writing. In this talk she discusses how a lucky find in a charity shop showed her the way in which composer Priaulx Rainier worked on setting verse by poet Edith Sitwell.